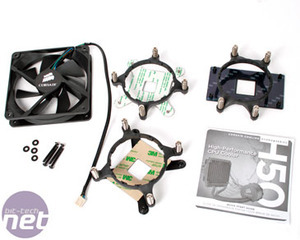 Corsair launched its simple Nautilus 500 watercooling kit back in 2006. 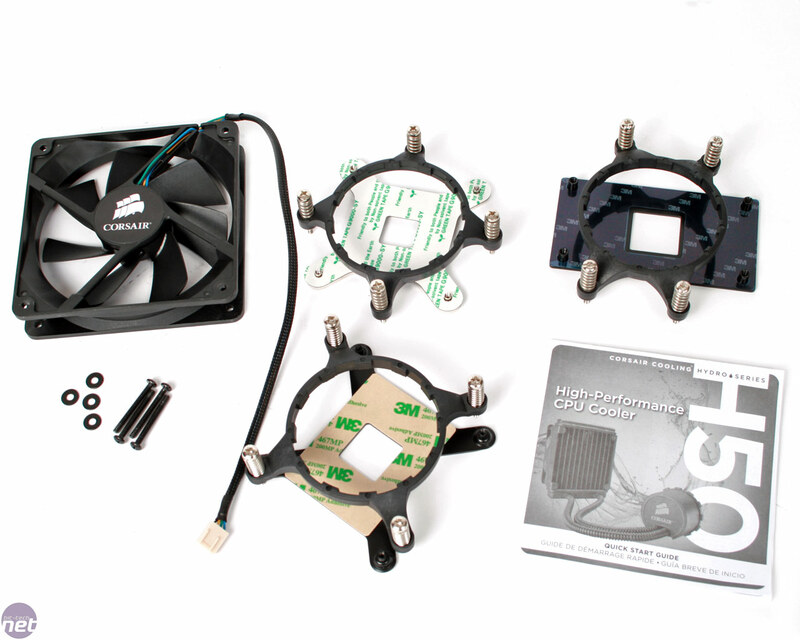 The all in one kit did the job admirably for the price, although it wasn't the quietest or most powerful watercooling solution available. 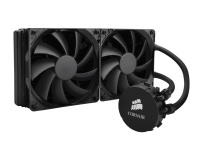 Now it's 2009 and Corsair, in co-operation with Aestek who manufactures it, has released its next generation liquid cooling solution: the Hydro Series H50 CPU Cooler. 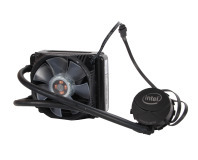 As usual with low cost liquid coolers, we don't dare call this "watercooling" in respect of the purists, because at least the Nautilus could be customised in the same way a true watercooling kit can be. 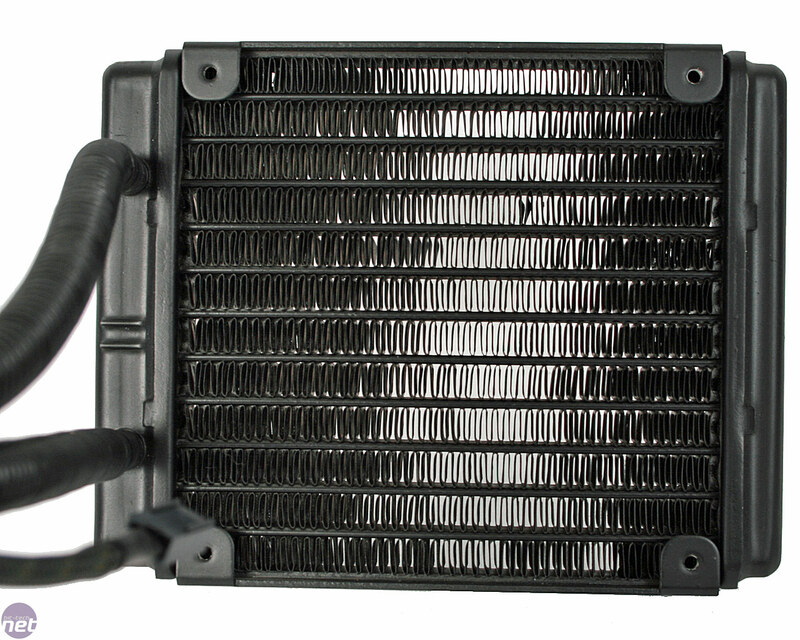 It's no secret we've had a mostly negative history with low cost liquid coolers, because to get such a thing low cost often always sees considerable compromise. I won't need to remind regular readers of our CoolIT Domino ALC review, for example. With the recent Domino ALC review in mind, we were keen to put the H50 through the same stresses - it must withstand a certain amount of abuse from home builders, and Harry, and it must be happy running day after day. We have three H50s in the lab and we've used them continually for a few weeks on several systems: they have been "burnt in", as well as being installed and removed at least a half dozen times. Well, until we took one apart for photos. 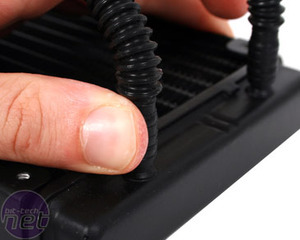 In the box there are brackets for Socket AM2+/AM3, LGA775 and LGA1366. 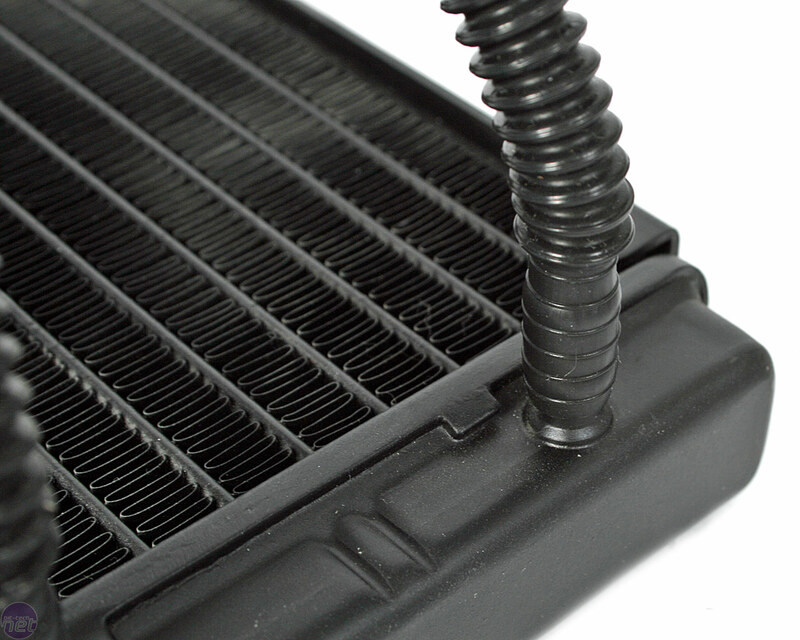 We're not sure how Corsair will offer the LGA1156 bracket as well, we know it's still in design and manufacture, but whether Corsair will charge or just ship out a free upgrade for those that ask is yet to be determined. 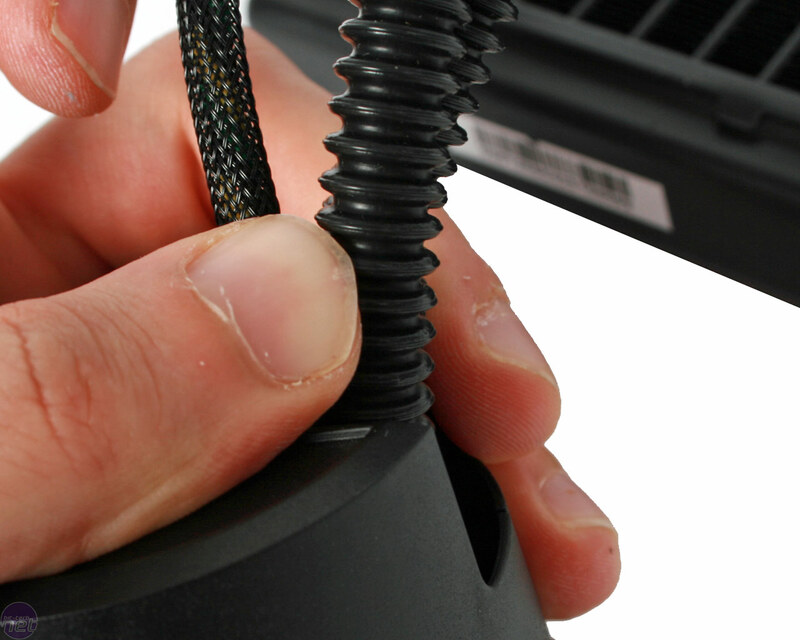 There's also a Corsair branded 120mm 4-pin fan, some plastic washers and bolts for attaching it all to a case, and an installation manual. In all honesty the installation manual isn't that great, but that's not to say installing the H50 in a case requires a Doctorate in Engineering. What is the H50 Anyway? 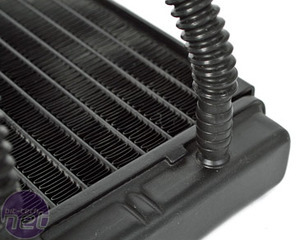 Quite simply it's a CPU waterblock with integrated pump, two tubes, radiator and 120mm fan. That's it. It doesn't look that impressive, with only the Corsair logo for bling, but don't let that fool you because it's built like a bulldozer. Look at my thumbs; they are white because I'm pressing so hard. The barbs are metal (CoolIT take note) so they don't break. The tubing is very flexible, resists kinks and despite not being thick, it's relatively hard wearing too. 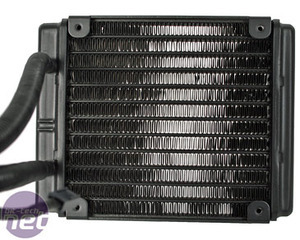 The whole thing is a very light with an 25mm thick aluminium radiator, and a low flow, copper microchannel CPU block. 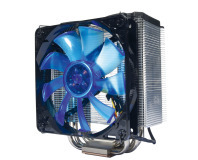 Switches to 140mm fans for improved cooling.